Palladium is strong and durable, lasting the test of time. 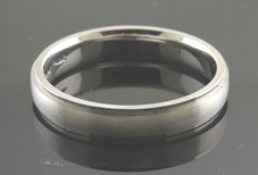 With a mix of brushed matte and polished finishes, this ring has a modern and clean look. Available in any metal, size, or width to fit your requirements. In the 17th century, a young Irishman by the name of Richard Joyce was sent to a working camp and was separated from his love. Upon his return to the town of Claddagh, he brought with him a gift as a symbol of his devotion to the one he had left behind. 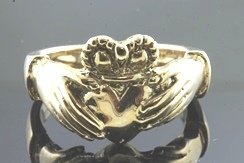 The gift was a simple ring crafted with great detail and care becoming world renowned for its meaning. The two hands show an everlasting friendship, the crown loyalty and lasting fidelity, and the heart eternal love. 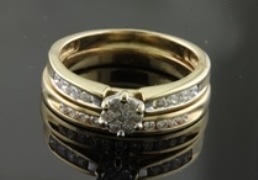 Available in 14K yellow gold, white gold, or sterling silver in your size. 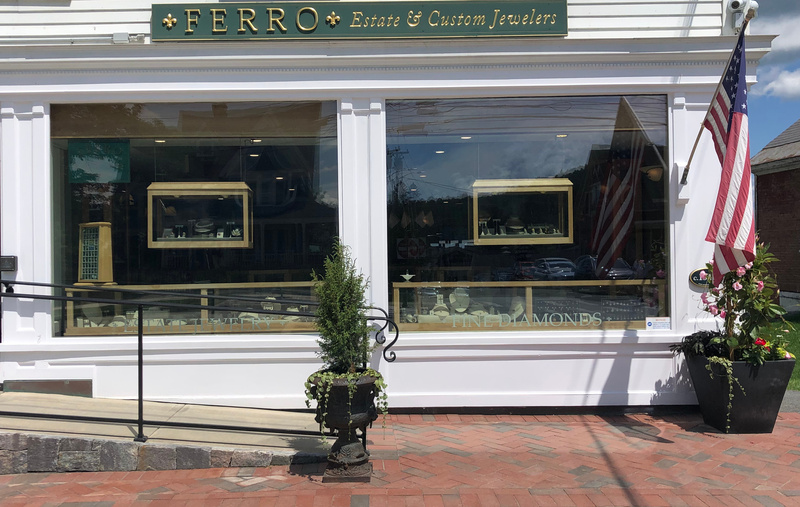 14K yellow gold wedding set features an engagement ring with a center cluster of round diamonds and accented with channel set round diamonds. The matching channel set wedding band is the perfect mate and creates a beautiful modern look. 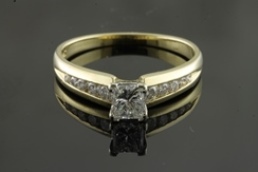 This contemporary style engagement ring is set with a princess cut center diamond at .47ct. The 14K yellow gold band is channel set with graduated round cut diamonds and the center diamond is set in white gold for brilliance. 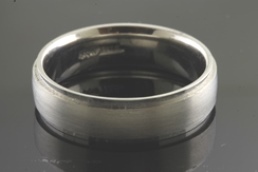 Arguably one of our best selling wedding band designs. Strong, durable palladium casting makes this raised center ring a great choice for longevity and looks. A mix of a matte brushed center and polished edges, this ring can be made to order in any size or metal that you choose.